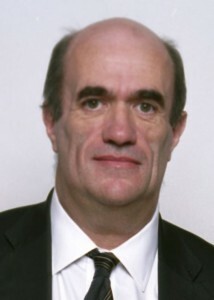 Colm Toibín born in Enniscorthy in 1955 is a multi award-winning novelist. He has written several novels, short stories, and a play and was a high profile journalist as one time editor of Magill magazine. His novel The Heather Blazing won the 1993 Encore award. The Blackwater Lightship was shortlisted for the 1999 Booker Prize and the 2001 International Impac Dublin Literary Award. The Master won the 2006 International Impac Dublin Literary Award, was shortlisted for the 2004 Booker Prize, won The Los Angeles Times Novel of the Year, the Stonewall Book Award and the Lambda Literary Award and was listed by The New York Times as one of the ten most notable books of 2004. His Novel Brooklyn received rave reviews and is set in Enniscorthy and Brooklyn.
. The book has been turned into an Oscar nominated movie starring the versatile Saoirse Ronan.